Speaking from Rome yesterday, he said he admires the “simplicity” of the ballpoint pen, invented in 1938 by Hungarian Laszlo Biro. Casas said: “I guess it started off as a joke, to try and make something so realistic that people would think is a photo. 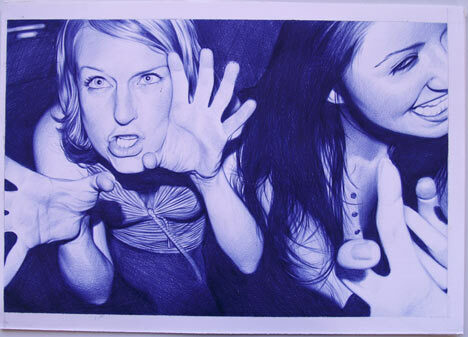 “I also wanted to create it with something that everyone has – a Biro. I don’t think it has ever been done before. Casas only uses blue Bics and can get through several to make one drawing. 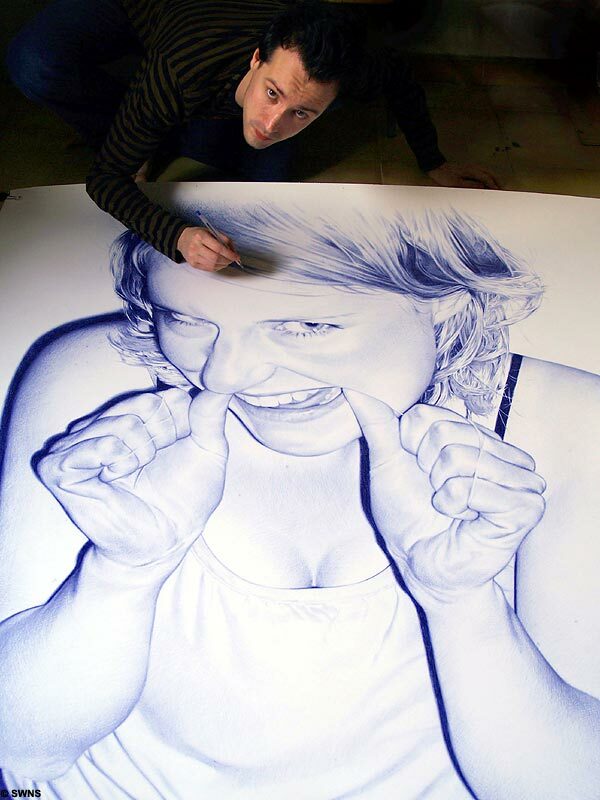 He has just spent two weeks drawing his largest piece, which is 10ft high by 3ft wide. Casas studied Fine Art at the University of Granada, in southern Spain, and then worked there as a teacher for six years. He submitted a ballpoint-pen drawing to a national art competition in Spain in 2004 – and was shocked to be awarded the second prize. He said: “It’s a very serious, and academic sort of competition, and I knew they would think my entry was a joke. It was just on a normal piece of paper in biro. He has exhibited in Chicago and in his native Spain, and is preparing an exhibition in Rome where he now lives. At an exhibition in Madrid last week he sold 60 works for between 1,000 and 5,000 euros apiece (£750 to £3,750). A British firm took over the ballpoint pen patent to make them for the RAF shortly after their invention, and the first ones went on sale in the UK in 1946. The Bic pen, a variation on Biro’s original design, went on sale in France in 1950.